For every marketer, it is a constant challenge in creating an email campaign to yield a remarkable result. It is important to choose a solution that will give you the convenience in choosing pre-designed email templates. Using the template are easy since you can simply use a Drag and drop email editor to drag and drop the email content elements and visual pictures that you need. We all know that when it comes to email marketing, design can either make or break your relationship with your customers. People would rather want to read something beautifully designed than something plain. The normal response if it does not immediately look good in their mobile device they will delete the email. Ouch, that gonna affects a fraction of your customer engagement. A well-designed email can elevate the subscriber's engagement and gives you a higher stats in your campaign report. 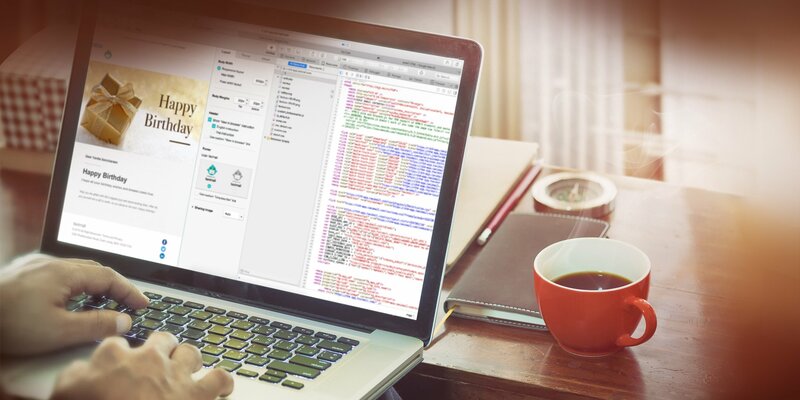 You can create your own email and even write your own code. Let’s look out how HTML could benefit from creating your Email Campaign and most of the platforms like HTML. A good template lets you copy and paste content directly and render well on desktops, mobiles and across various email services providers. Save time - it helps you plug your content into an Existing Email Template saving you time and designing new templates. Stay consistent - it gives you a way to build your brand into a template — your color, logo, design set within the template. This would result in consistent brand experience. Deliver personalized experiences - personalization is a critical part of the business. You can add basic personalization like subscribers name. It speaks to individual subscribers and makes them feel more valued. You don’t need to be super creative with your fonts because it renders differently with every email clients. You can stick to the nine web-safe fonts that are proven to render in a variety of fonts. These are Arial, Helvetica, Times New Roman, Courier, Courier New, Verdana. Georgia to name a few. With Taximail, we support only 2 choices in the drop-down menu for text formatting option because this is most compatible fonts in most of the email service provider. You can follow all the Email Best Practices to help you think outside of the box and be creative when making your email marketing campaigns. One thing that you have to remember is to think of what works for your customers that would scale up your business. If you choose Taximail as your email marketing platform this Infographic with explaining all on how to utilize HTML and CSS for your email campaigns.